Not all Business Management Systems (BMS) are created equal and although one might be a perfect fit for one company, that doesn’t mean it’s right for you. Every organisation has its own particular needs and like a piece of clothing, any solution is not going to be one size fits all. You might be larger or smaller than another person, shorter or taller, wider or leaner – In the world of Business Management Systems there are many factors you need to consider before you even ‘step into the shop and start trying things on’. The first consideration is price. I’ll use the clothing store analogy once again. If you’re particularly strapped for cash, you’re not going to waltz into a Louis Vuitton store and start asking how user friendly their handbags are will you? It’s a waste of your time and theirs. What you're going to do is find the right store with the right price range. In it, we break down every aspect and add-on that you might need when considering a BMS and offer you an extensive list of prices for our own Triaster software. Bear in mind though, when pricing a BMS, you may not find cost listed on the websites of many suppliers – this is because BMS solutions are often tailored specifically for each customer and as such, it’s difficult to provide an accurate quote. A lot of these companies also fall under the heading of BPM (Business Process Management). A BPM is a type of Business Management System, but it focuses on a process specifically whereas there are a few different types of BMS. 2. What kind of BMS Are You Looking For? Today, most Business Management Systems are software based and in my opinion, these are the ones that will allow you to achieve the best ROI. Appian vs Pega vs Bizagi: Which Is The Best Business Process Management (BPM) Software? A review of Aris vs Microsoft Visio: Which one is best? 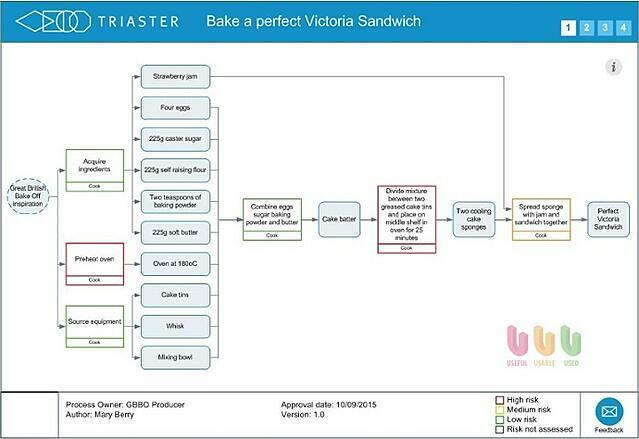 At Triaster, we use a process approach to BMS. This is used to create a system that maps out your business as simply and effectively as possible. We do this by equating everything in your organisation to a series of ‘Inputs’ and ‘Outputs’ - that’s basically it. You see, in order to make an omelette you're going to have to break some eggs - sorry, that's the wrong cooking analogy. Say you want to bake a cake. First you'll need ingredients (Inputs) then, after the baking's done you have a cake (Output) and in order to get to the finished product you'll need a recipe (process). We do this to make it easier for you and your employees to find the right process when you need it and not spend a huge amount of time sifting through a whole manual on the subject. If more information is needed however, you can still find that by going to the supporting procedure, and you could even look up your specific job role in the system and each process that is associated with your specific role. Remember how I just said that the Business Process Management is simple and effective? Well the process approach certainly is, but the implementation can be another story. Most of the implementation involved with Business Process Management can be outsourced, but not everything can. 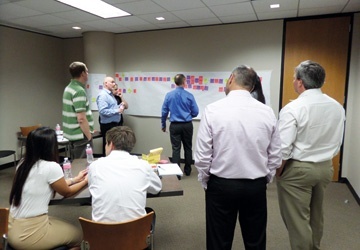 You can hire professionals to come into your business and run Process Mapping workshops, but you’re still going to have to actually create a team of people who collectively understand the processes of your organisation and can map them out accordingly. You’ll also may have to liaise with the IT team to implement software – unless you go to an online system. This planning stage can take time – it’s not a ‘one and done’ situation after you've spent the money. You will also need to re-evaluate your processes in order to improve them, but the benefits of BPM still far outweigh the negatives. Improving the processes of an organisation does take time, and you will find that you’ll have to make it a major focus of your organisation, but the words ‘process Improvement’ tend to go hand-in-hand with the words ‘increased income’ - which is why the BPM is so important to organisations wanting business improvement. I hope this helped to clarify some of the confusion regarding purchasing the right Business Management System.